After reading the blurb of Dreaming of Amelia I was like WOW. It sounded so good! So, now that I've finished reading it I wouldn't say it was fantastic but it was really good. I must day that the style of writing and the way Moriarty has presented her book is fantastic. It is so very unique. I don't see that kind of style in almost anywhere! I loved how Riley and Amelia were almost sounded like celebrities. There were different accounts of how students at Ashbury High thought about them in the form of essays. Weird right? No, it was a clever was of portraying how people thought of Riley and Amelia. Although, I must say there was no real action in the book. Nothing really big happened. Yet, it was still enjoyable to read. 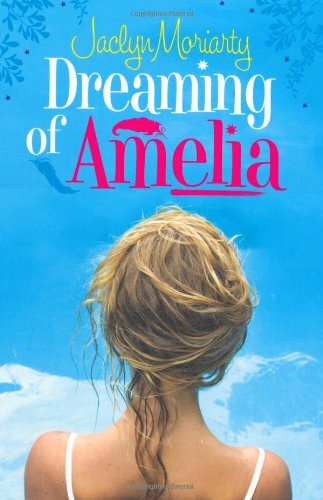 Dreaming of Amelia is definitely different from many other YA books. That's what makes it a fun to indulge in. A pleasurable read. I don't usually like this kind of book, but I must say the unusual approach with the essays and stuff intrigues me. Thanks for the review! I would probably not read this kind of book. It sounds passive. But I enjoyed your review. Not big on ready essays, journals or email type books but might check it out from the library. I think I'll add this to my wishlist - I like the essay angle - it's quite unique! Hmmmm, pity not much happened, I was thinking on reading this but I don't think I will now. Great review! This sounds rather interesting and different, though I wonder how easy it is to read. 578 pages and not much action?? Though I suppose the writing could be very good and thus make it very easily readable. I like the sound of using essays to show others' opinions of the two main characters! A rather original idea! Sounds like this maybe a relaxing read. Thanks for the review. Armchair BEA: Introduction to Gripped into Books!